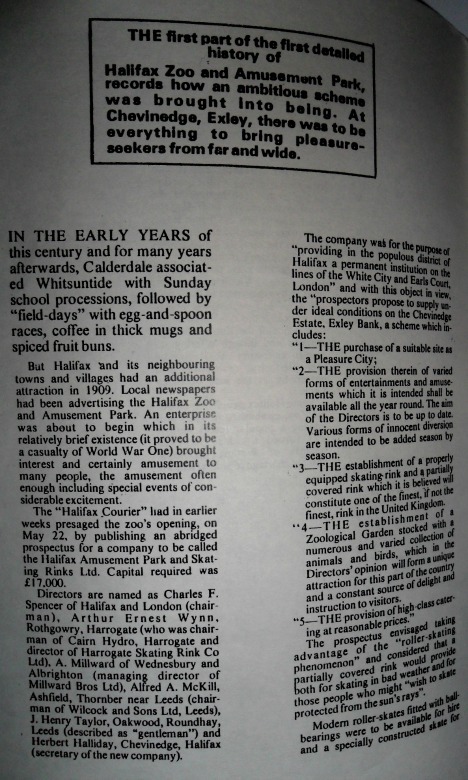 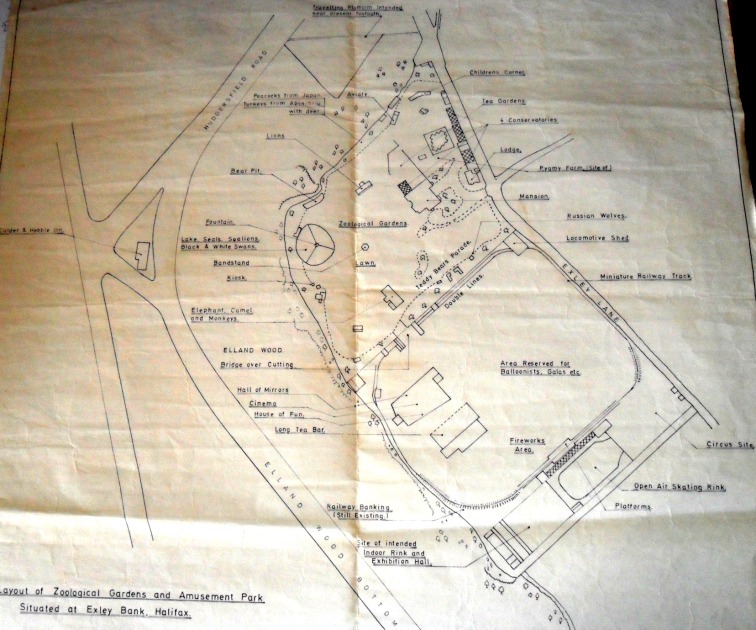 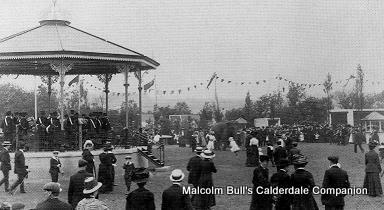 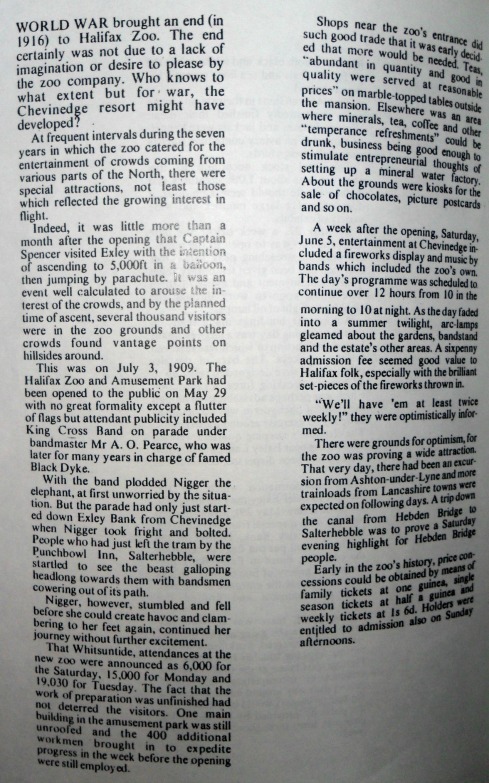 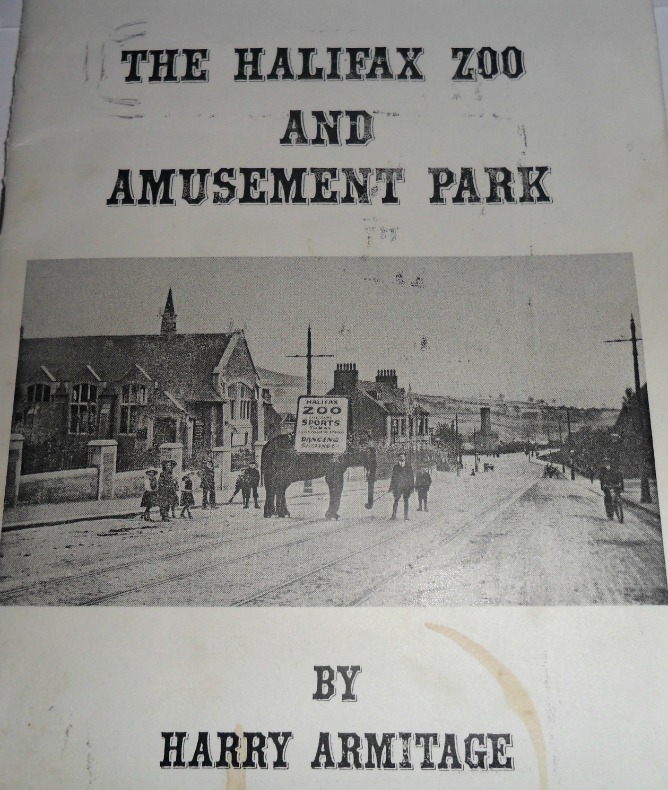 Halifax-Zoo used to exist where Siddal rugby club now exists. 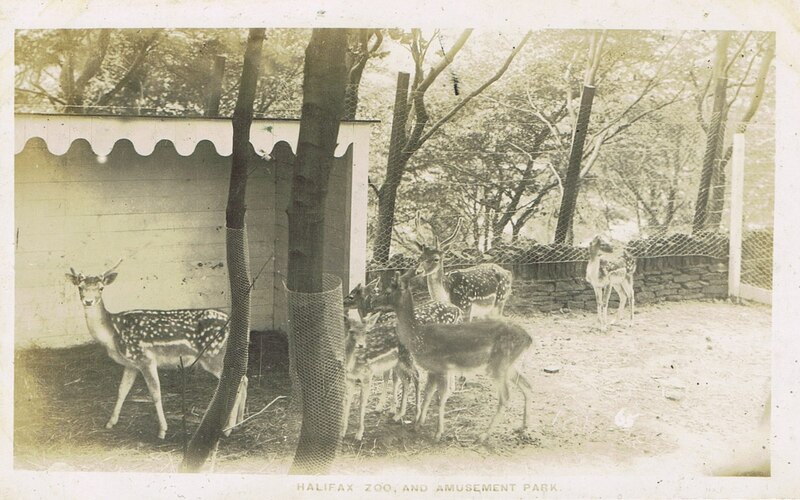 The site of Halifax Zoo is on a headland overlooking the junction of Calder and Hebble streams, the escarpment (chevin) providing the place with its title of Chevin Edge. 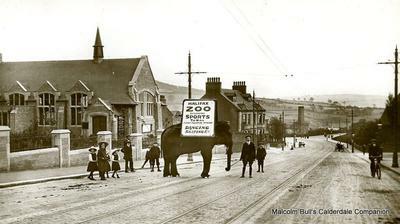 Where once were the zoo buildings are now the semi-detached homes of Chevin Edge Crescent. 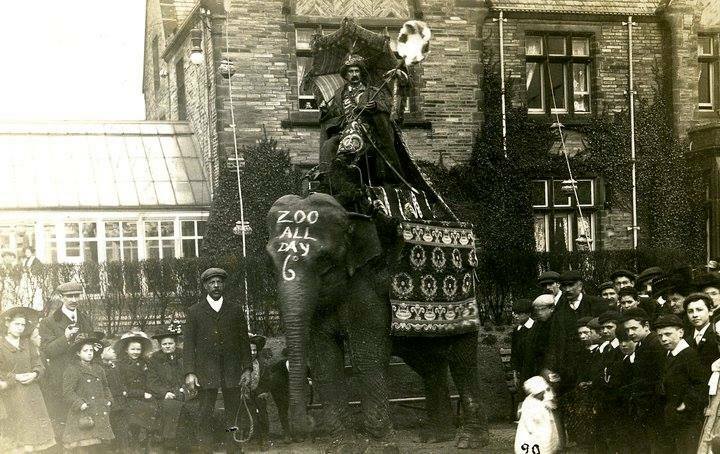 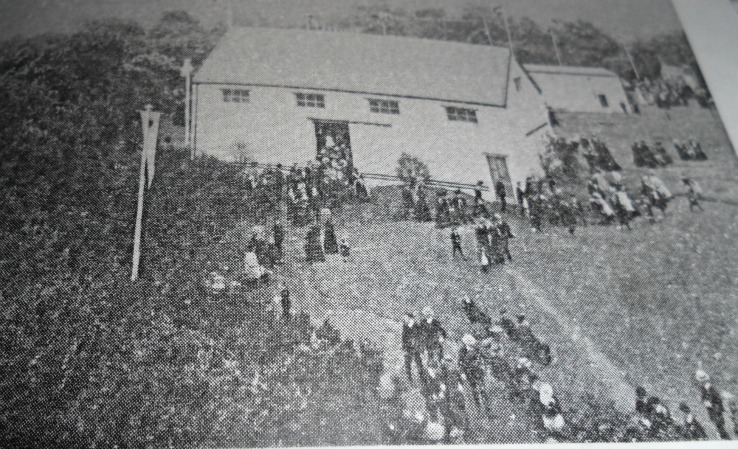 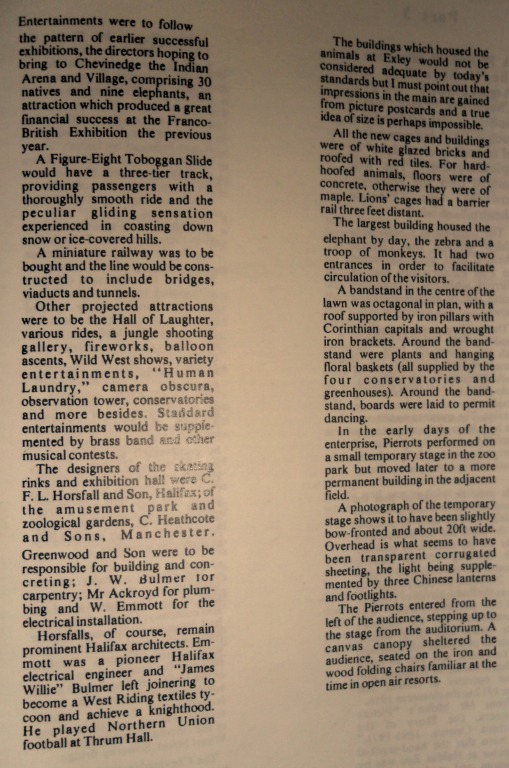 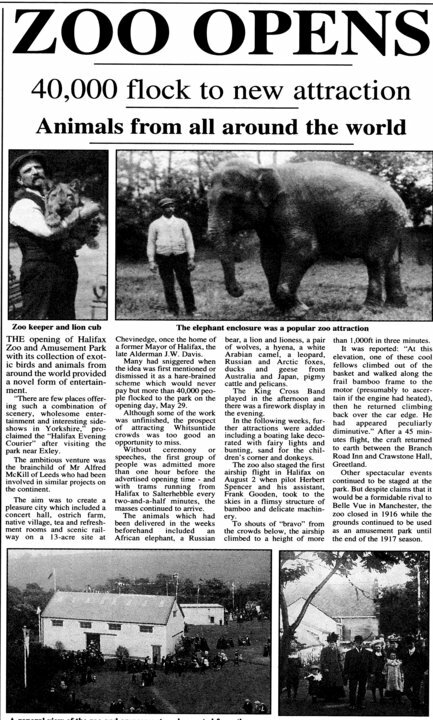 Before the zoo, there was at Chevin Edge, a Victorian mansion used at length as part of the zoos' amenities and demolished nearly 20 years after the zoos' demise. 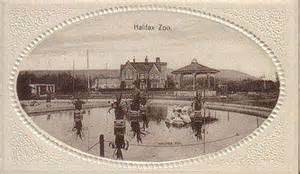 Just one of the zoos' buildings remains and though offering no clue to its former use, it may be identified by residents and passers-by at the side of Exley Lane. 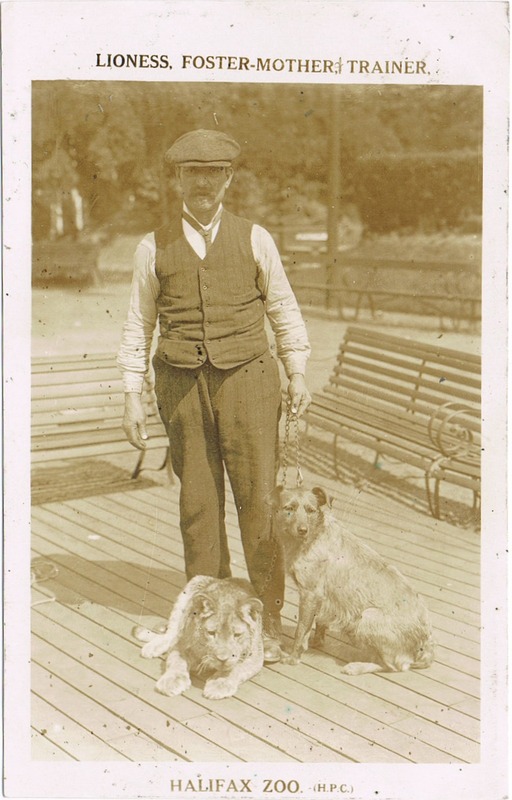 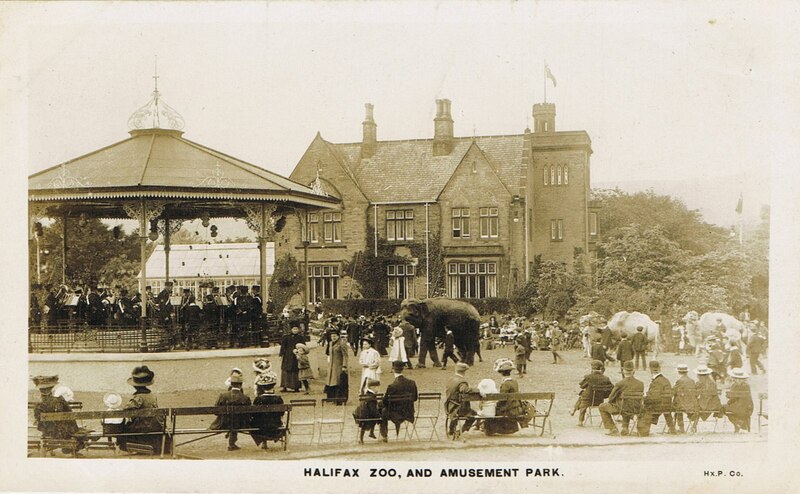 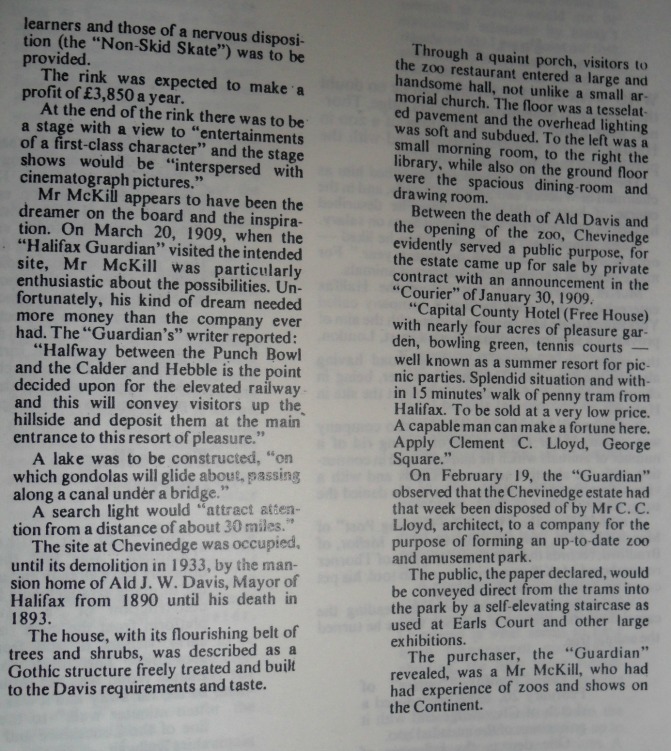 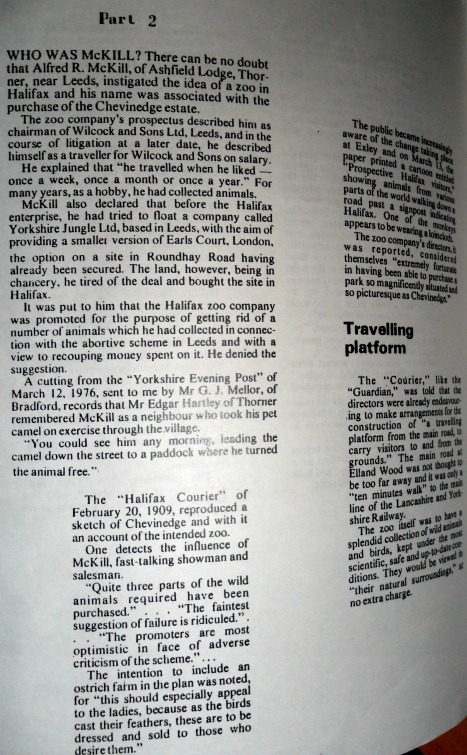 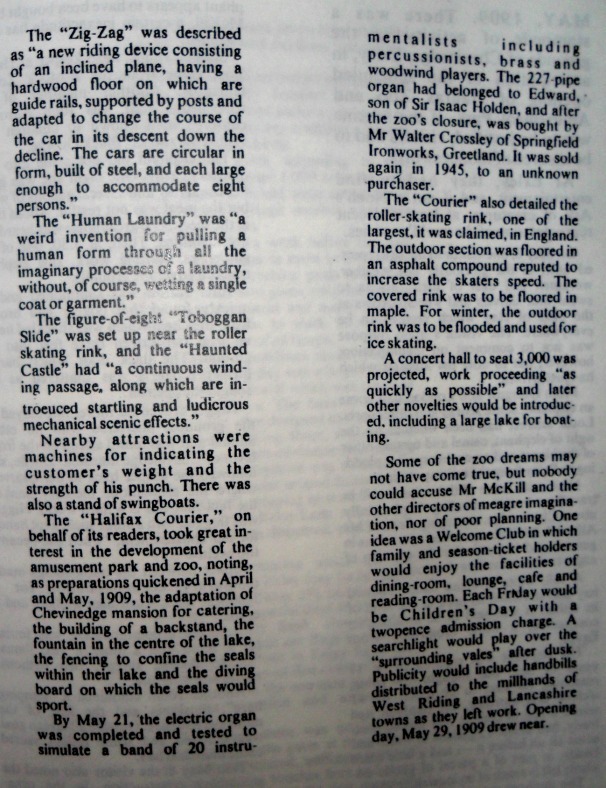 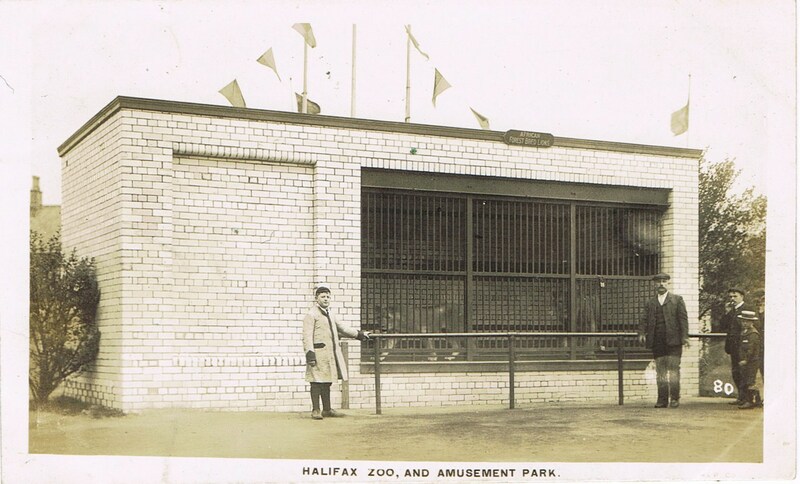 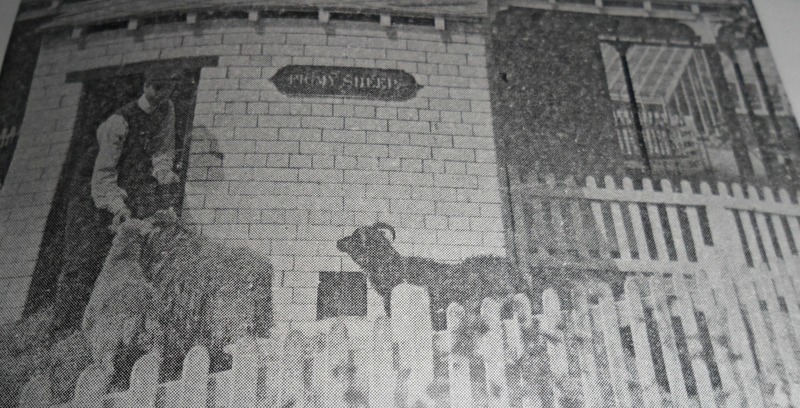 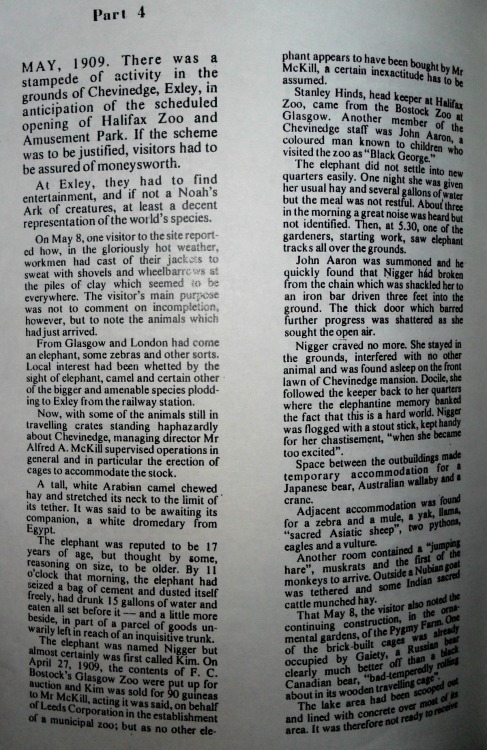 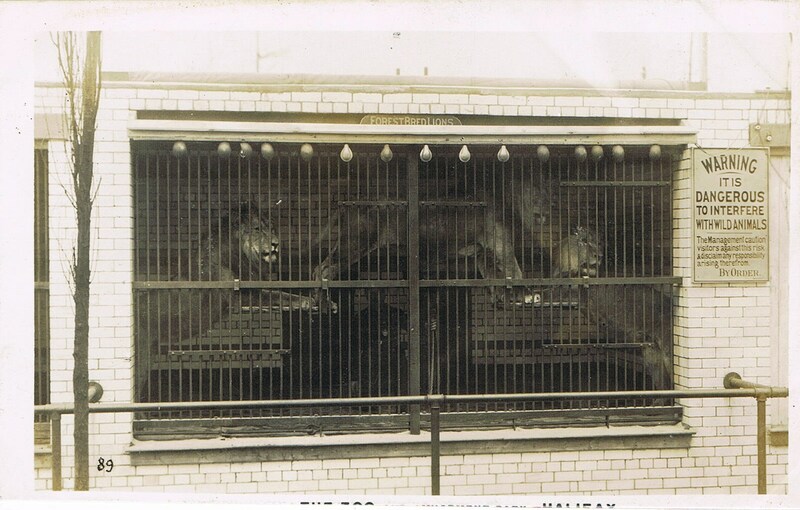 Some Halifax people remember the zoo, established in 1909 and making a popular resort until it was forced to close in 1916 because of wartime problems, notably shortage of animal feeds. 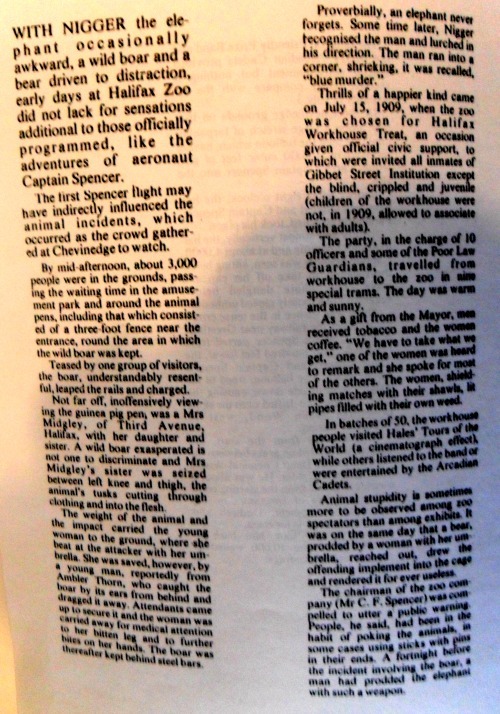 Thanks to Harry Armitage and the late Billy McGall for their information. 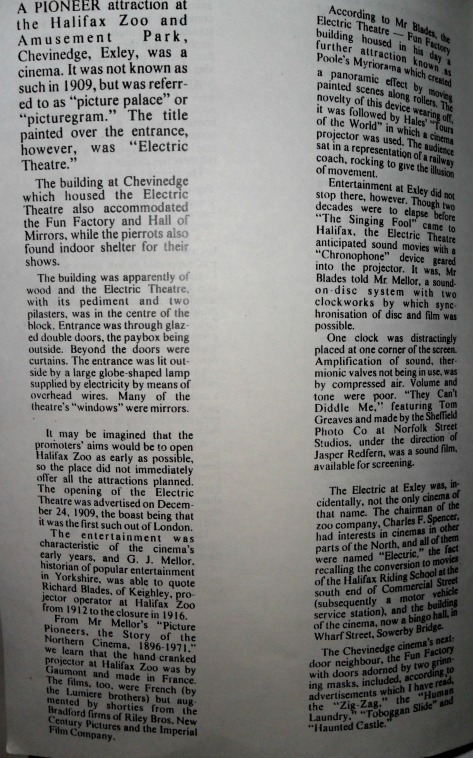 More notes to follow.